The following post was written by Richard Lund at Avery Weigh-Tronix, our featured manufacturer this month. Avery Weigh-Tronix offers a wide range of weighing scales, systems, software components & peripherals for industrial & business use. In today’s food production market, cleanliness is critical to the success of food manufacturers. Companies manufacturing weighing equipment for the food industry must ensure that the products they supply comply with best practices and meet strict legislative requirements. At Avery Weigh-Tronix, many of our products are specifically designed and manufactured with the food industry in mind and feature an NSF approved design along with IP washdown certification. 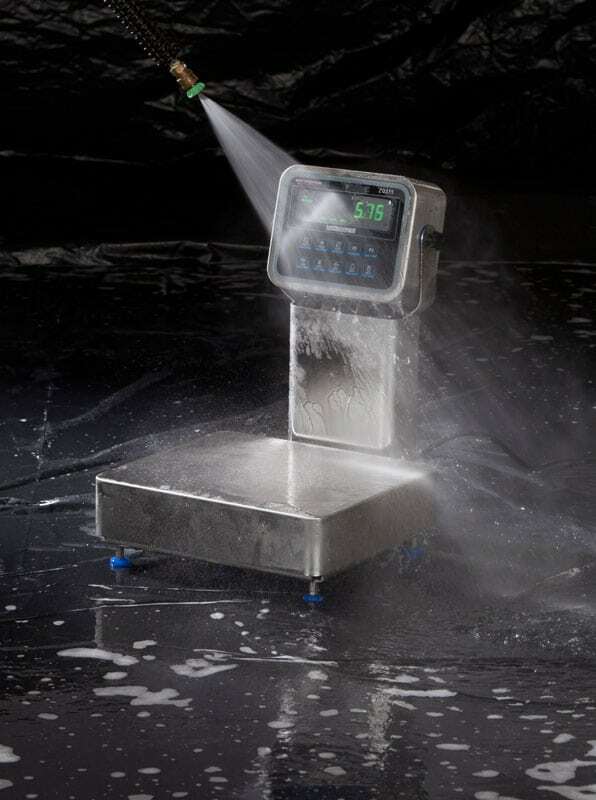 Proper cleaning of weighing equipment in a food production facility not only prevents contamination but can also improve your scale’s performance and extend usability as well as reduce downtime and expense associated with unplanned service calls. While there can be many types of scales throughout a facility, the ZQ375 Checkweigher from Avery Weigh-Tronix is one of the most commonly used scales in a food production facility. Designed for the food industry, cleaning the ZQ375 Checkweigher is safe and easy. The smooth, polished stainless steel surface and rounded corner design help prevent microorganisms from growing on the surface while the IP69K rated enclosure of the indicator means you can use hot water under pressure to quickly and effectively remove any debris. Remove the top cover of the weighing platter to thoroughly clean the scale with the same high pressure, hot water. The channels in the base quickly route water and debris away from the scale. The ZQ375 can also be cleaned with chemical foams without risk. In addition to checkweighers, food facilities often require floor scales. 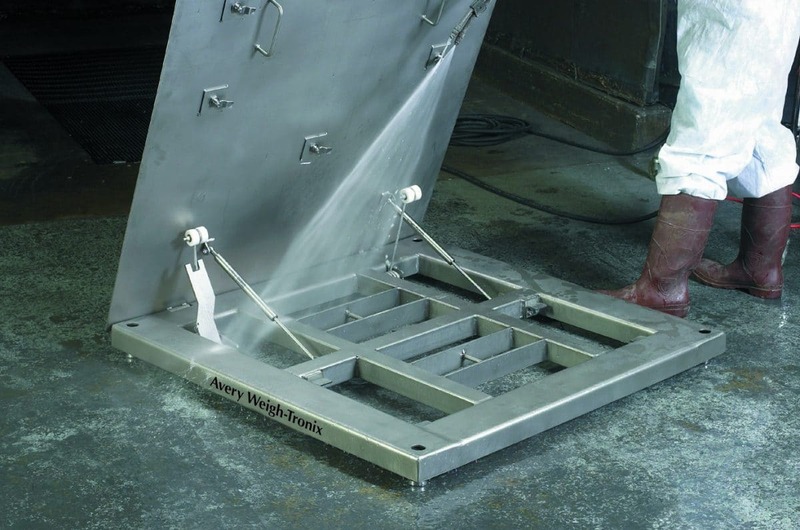 The Avery Weigh-Tronix FCQH is a high capacity, stainless steel floor scale with a hinge top and hermetically sealed weight sensors. The tubular design frame eliminates hidden areas where food and other debris can hide. Unlock the top plate and spray out any debris. The stainless steel struts assist in raising the top plate while the safety latch keeps it safely supported during cleaning. 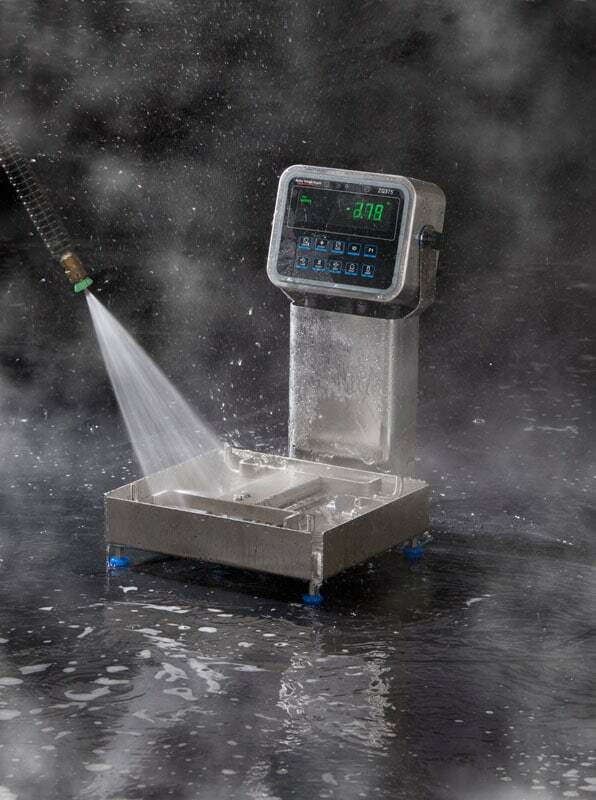 Keeping your weighing equipment clean prevents contamination, aids in compliance with regulations and keeps your scale running at peak performance. Avery Weigh-Tronix is a leading supplier of weighing systems and equipment for a variety of markets, including the food and beverage industry. Michelli Weighing and Measurement is a trusted distributor of Avery Weigh-Tronix products. For more information on the full line of weighing equipment for the food industry, visit https://www.averyweigh-tronix.com/Industries-Workplaces/food-and-beverage/ or contact Michelli Weighing and Measurement directly.